Apple started working on the project that would become the iPhone some time in the summer of 2004. Originally conceived as the iPad, Apple downsized their immediate plans for a multitouch device and announced the iPhone in January of 2007. In between, it produced dozens of prototype devices, which it likely never thought would see the light of day. As a writer and artist, I can’t describe how irritating it is to show rough drafts to people. It trims away some of the magic of a fully produced whole, to be sure, but it also unravels skeins of careful revision and iteration that are open to misinterpretation and criticism. For a company with such a design-focused culture, whose head of Industrial Design has nearly absolute authority, the exposure of these prototypes must be razor blades to the gums. Rene Ritchie put it well on Twitter, when he said that Apple’s willingness to show off these designs in open court speaks to its intense desire to see what it feels is justice done in the case vs. Samsung. But, now that they’re out there, there’s some interesting perspective to be gained. There are a lot of designs in the documents, but the most interesting is the long-referenced ‘Purple’ prototype. References to it have existed in iPhone OS code since the early days of the iPhone and now we know exactly what it is. The prototype dates back to August of 2005, likely after Apple had decided to move from the larger iPad down to the hand-sized iPhone. 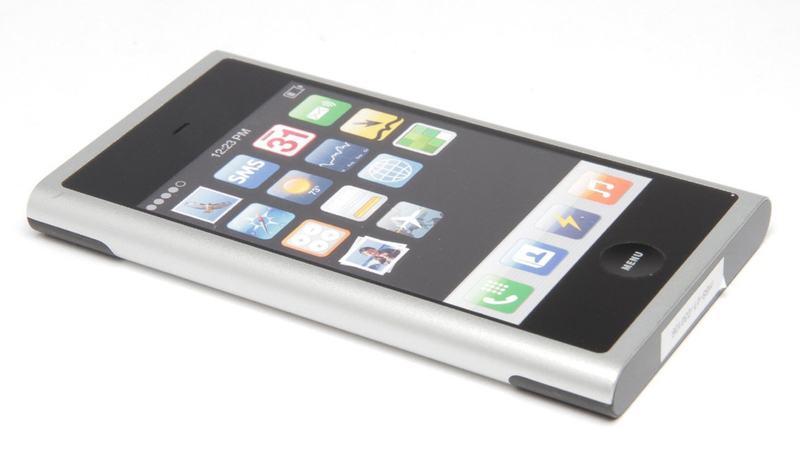 The crazy thing about it is that this prototype is essentially the iPhone 4, released in 2010. The back of the phone bears the ‘iPod’ designator, along with the Apple, the front lacks a camera and sensor hole, and the edges are black, instead of silver, but on the whole the similarities are striking. 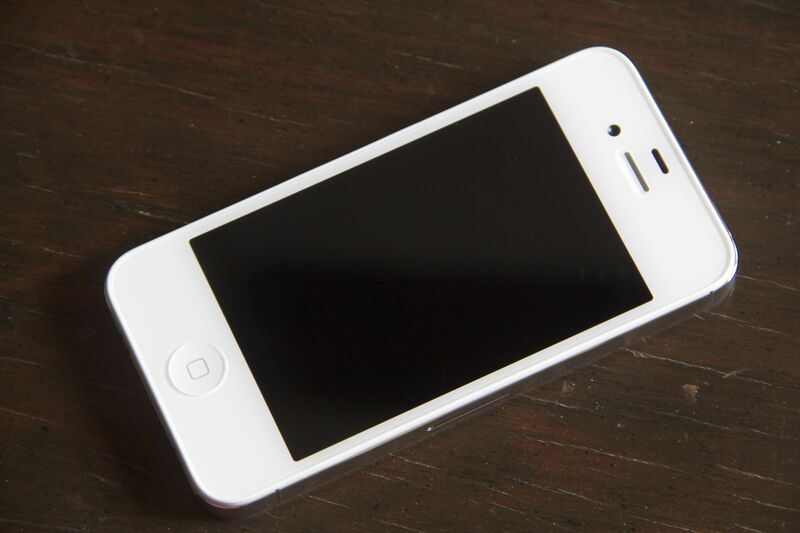 Apple had come up with the industrial design it wanted for the iPhone 4 5 years before it ended up being made. Every design in between was some sort of stepping stone to getting there. It said no to that design until it could execute it properly. When Steve Jobs introduced the iPhone in 2007, he said that the software running it was 5 years ahead of the competition. Well, it turns out that not only was the software ahead, Apple was also 5 years out from making its original vision for the iPhone a reality. Along the way, the design team ended up doing a lot of one very important thing: saying ‘no’. When you look at the concepts presented in the court documents (there’s a gallery up at The Verge) you see a lot of really far out there stuff. There’s a lot of the proverbial ‘throwing things at the wall to see what sticks’. 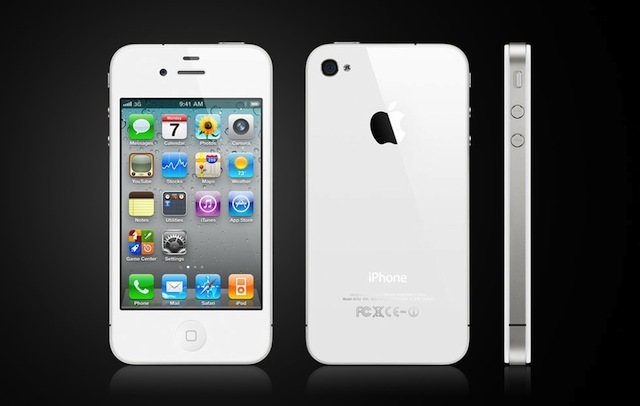 Two of those designs, the original iPhone and the iPhone 3/3GS, ended up actually getting released. The first iPhone went with a combination of the ‘extrudo’ style iPod mini and a more rounded prototype, with a radio transparent window as a compromise. 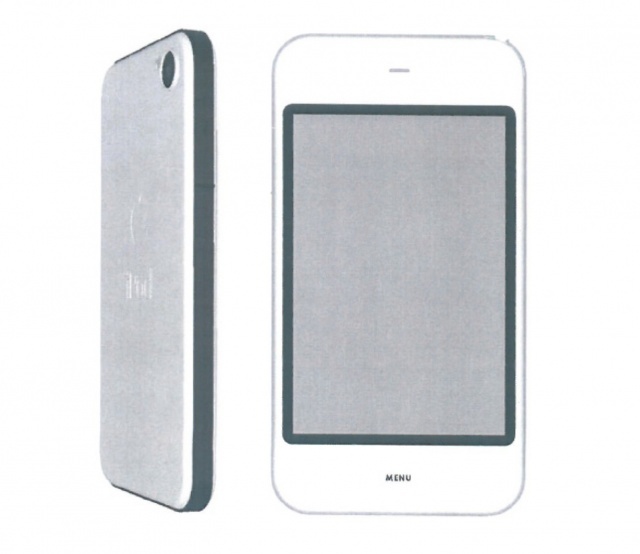 Then came the completely radio transparent plastic iPhone 3G and 3GS. Finally, in June of 2010, Apple was able to execute its original design. The dozens of other items are a mixture of dead ends and quasi-successful experiments that didn’t make the cut. But they very well could have. If you’ve read anything about Apple’s product development process (called the ANPP), then you’ll know that they take the designs as far along in the process as they possibly can, essentially making them with finished materials so that they can compare them in final form. Now, I’m sure that other device manufacturers do the same, at least with designs that they’re already very sure about. But likely not on the scale that Apple does. There are some 40 plus prototypes for 5 released products. These aren’t pencil sketches, they’re completed industrial templates. There are easily half a dozen devices here that I would have been quite happy to own. And some of them likely came close to being made. Apple design chief Jony Ive recently talked to The Telegraph, and in the context of these prototypes, what he says gains even more resonance. This kind of mentality doesn’t stop with Ive either, it’s part of the company philosophy. A recruitment video unearthed by 9to5Mac recently, a Marketing Communications gent known only as Gary emphasizes that the company never stops at ‘good enough’. The greatest power that Apple possesses is the ability to say no. Whatever the cost, however many resources have been poured into the development of a product, if it’s not good enough, you say no. There’s also another big lesson to be learned here, and that has to do with the way that Apple conducts its business. Another Ive quote from that Telegraph article made headlines recently, because…well, it’s quotable. Our goal isn’t to make money. Our goal absolutely at Apple is not to make money. This may sound a little flippant, but it’s the truth. Our goal and what gets us excited is to try to make great products. We trust that if we are successful people will like them, and if we are operationally competent we will make revenue, but we are very clear about our goal. It also may not be the best course of action for every company, but Apple has become the biggest and most successful tech company in the world on the back of this strategy. And it’s done so against the popular opinions of how these kinds of products should be made. Due to the currently ongoing Apple v. Samsung patent trial, Apple’s Phil Schiller was called to the stand briefly yesterday. He referenced the ANPP and said that the company’s Marketing team was always involved to make sure that they were filling real customer needs.